Dedicated to all the scum who love fireworks on the holidays. 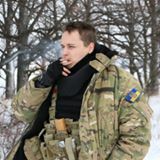 This entry was posted in English, English News, Eyewitness stories, Video, War in Donbas and tagged #RussiaInvadedUkraine, #StopRussianAggression, #UkraineUnderAttack, ATO, Cristian Jereghi, fireworks, Ukraine. Bookmark the permalink.